A six-year-old internet sensation, Ryan of ToysReview pocketed an estimated $11 million this year for reviewing toys and sweets on YouTube. The account began in 2015 when Ryan, then a four-year-old fan of toy-review videos, asked his parents why he couldn’t also review toys online. 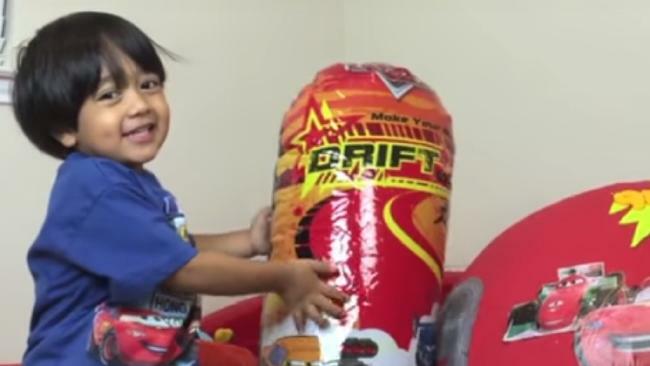 Ryan ToysReview started out slowly until a July 2015 video went viral. However, his family have warned they will stop the blockbuster site once Ryan has finally had enough. Until now, no exact date has been disclosed when they are going to close the channel, but Ryan’s mom said that when he gets bored of making videos, they will close it. 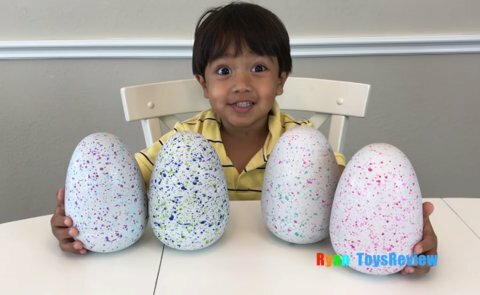 The viral video featured Ryan opening and reviewing a “GIANT EGG SURPRISE” box containing over 100 toys from Pixar’s “Cars” series. It currently has close to 800 million views. The channel tends to review new toys or kids’ food products, and the videos usually feature enthusiastic commentary from Ryan with off-camera guidance from his parents.